CMC Markets analyst Michael Hewson said: "In an Easter shortened week Asia markets have got off to a decent start taking their cues from easing concerns about Chinese data, and a strong end to the week for US markets. This looks set to translate into a positive start for European stocks this morning." "While the avoidance of a no deal Brexit has been welcomed by the markets, the nature of it is likely to continue to hang over sentiment as well as the UK economy, for the next few months," he said. Meanwhile, the latest survey from Rightmove showed that house prices rose 1.1% in April from March. Rightmove director and housing market analyst Miles Shipside said: “The rise in new seller asking prices reflects growing activity as the market builds momentum, egged on by the arrival of Easter. Some sectors of the market and some parts of the country have strong buyer demand and a lack of suitable supply. "However, on average, properties are still coming to the market at slightly lower prices than a year ago. It’s one of the most price-sensitive markets that we’ve seen for years, with buyers understandably looking for value or for homes with extra quality and appeal that suit their needs." Investors will be eyeing the release of UK inflation data later in the week. In addition, first-quarter Chinese GDP figures due out mid-week will also be scrutinised. 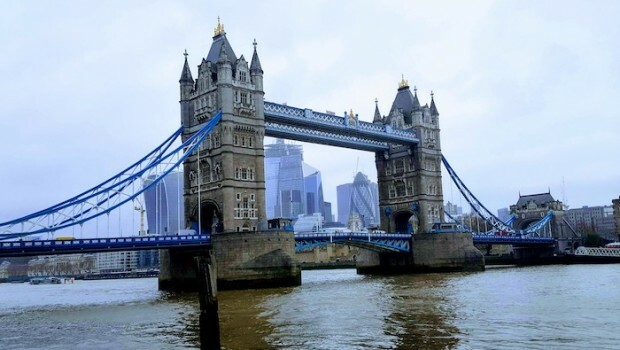 Across the pond, first-quarter earnings season will continue, with results due from Goldman Sachs and Citigroup later in the day following impressive numbers from JPMorgan Chase and Wells Fargo on Friday. In UK corporate news, Rio Tinto said it would invest an extra $302m (£231m) to develop its US Resolution copper project as it sought to capitalise on the growing green energy market. The cash will be used to fund additional drilling, ore-body studies, infrastructure improvements and permitting activities, the miner said in a statement. Located in the state of Arizona, Resolution is 55% owned by Rio and 45% by BHP. IWG continued its shift towards a franchise model with a £320m deal to sell 100% of its Japanese office space to Tokyo-listed TKP Corporation, with which it has agreed a master franchise agreement. Once the deal is complete, expected next month, TKP will pay the full sum in cash and under the franchise agreement will operate the Japanese centres with full rights to use IWG's Regus, Spaces and OpenOffice brands. Mediterranean-focused Energean Oil and Gas said its Karish North exploration well had made a “significant” gas discovery. Preliminary analysis indicated initial gas in place estimates of between 1tn – 1.5tn cubic feet of gas and a high quality reservoir in the B and C sands.